Which will be applicable to you will depend on your situation and print protection objectives. For product information see our laminating supplies page or contact us today. In many situations, including in the Fine Art and Photographic Space, the goal of preserving prints is to ensure the maximum life for a print. To achieve this, lamination is most commonly used. However, it's important to remember that you should only use pH neutral adhesives for preserving prints. This is so the print remains solvent free and of archival quality. In the Sign and Display Space, using lamination for protecting prints is critical. Lamination protects your prints from abrasions and UV damage. Therefore, it's essential for any long-term outdoor signage or graphic display. Alternatively, short term displays may not require lamination. Lamination may also be used to prepare prints for presentation. In this case, either a thermal or cold lamination would most likely be used. Thermal lamination is typically the most popular option for this purpose. This is because it can be used in both short run digital and offset small print format. Including for posters, menus, certificates, signage, manuals, business cards, books, magazines, and more. Used in Australia today, there are three main types of laminating used for preserving, presenting and protecting prints. Again, which is suitable for you will depend on your intended application. Cold pressure sensitive lamination films are normally PVC or PET based and are ideal for preserving prints. They are married or matched to the type of large format digital print media to which you are outputting. A suitable laminating film is then selected - based on both products being compatible. Your suitable laminating film will also be chosen based on your intended application. Whether it's for short or long term outdoor signage, car wraps, floor graphics, graphic displays, anti-graffiti, street graphics, mouse mats and so on. PET thermal hot laminating films are polyester based. They are available in either a gloss or matt finish. Thermal laminating involves using two layers of PET film to 'sandwich' either a paper or film print between the laminating film. This is achieved via a roll or pouch format. These films can be purchased in a variety of weights and thicknesses. From approximately 38 micron to 250 micron. BOPP thermal cello glaze laminating films are most suitable for digital or offset A4, A3, A2 output. This is where a very thin film is placed over one side or both sides of a piece of paper or film based print. An advantage of BOPP is that it is polypropylene based, which is a cheaper more flexible material than PET (Polyester). BOPP thermal cello glaze laminating is usually used for protecting and preserving prints, books, magazines, and flat printed output such as business cards, labels, and similar. Laminating films are used on a range of prints. Everything from display advertisements to artwork to books to mousepads and more. If you're unsure whether lamination is suitable for protecting prints which you have, contact us online or call 1300 767 905. We can help with expert advice. When laminating high value prints or with cold lamination films it is important to use gloves. This is as gloves prevent the transfer of oils and residue to prints during handling. It is also critical that you laminate your prints within a clean dust free environment. This is to prevent particles from laying or sticking to the print prior to lamination. Skipping this precaution can result in dust and lint becoming wedged between your print and the laminate. Always take your time and apply your laminate with care. Lamination is ideal for preserving prints. However, it is a permanent process. Lamination cannot be reversed after being completed. So, ensure you do it right, the first time. All laminating films should be stored upright or on railed racking. This will prevent flat spots caused by weight or pressure from occurring throughout the width of the film. It is also recommended that cold laminating films be stored in a clean and dust free environment. The optimal temperature in storage is about 25 degrees celsius. Additionally, you should always avoid exposing your laminating films to the damp and wet. Moisture can in some cases cause damage to the film. As the old saying goes - you get what you pay for. This is especially true when it comes to laminating films for protecting prints. 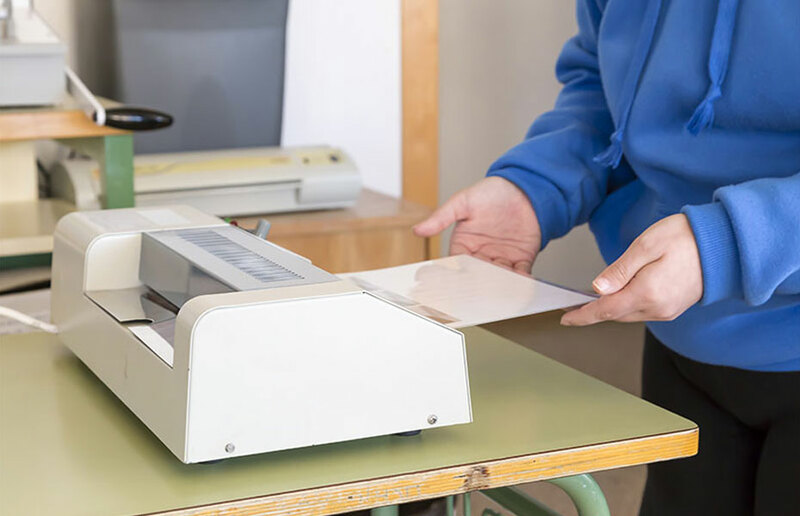 It may seem like a cost-effective move to buy low-priced laminating films, but in the long term it could cost you more. Many low-cost and poorly made laminating films deteriorate quickly with time, thereby minimising their effectiveness and allowing damage to occur to your prints. In some cases, poorly made films can even cause damage to the prints which they were supposed to protect. So, when choosing laminating films for protecting and preserving prints, always ensure you select quality-made and trusted films. "Lamination is ideal for preserving prints. Or for protecting prints of high value." 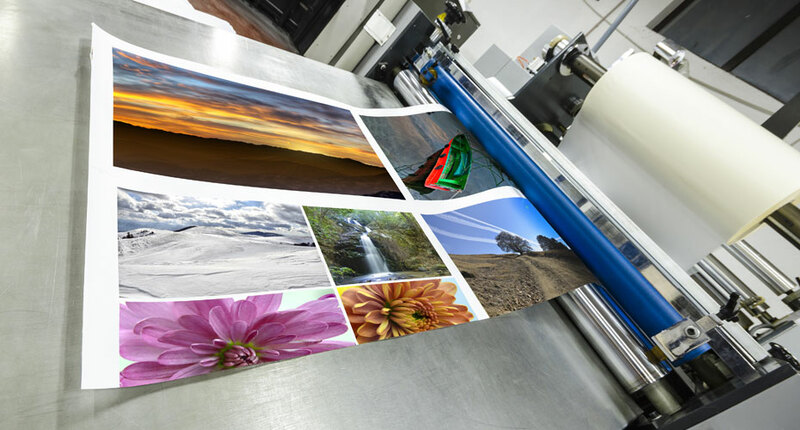 At Total Image Supplies, we are your printing and laminating specialists. Our wide product range includes everything you need for protecting, presenting, and preserving prints. If you're unsure which products are right for you and your application, our friendly team are always available for expert advice and support. Just ask us! For more information see our laminating supplies page or contact us here.